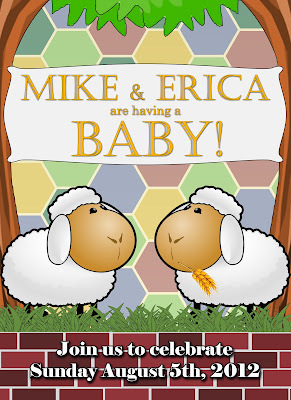 Our friends Mike and Erica are having a baby! 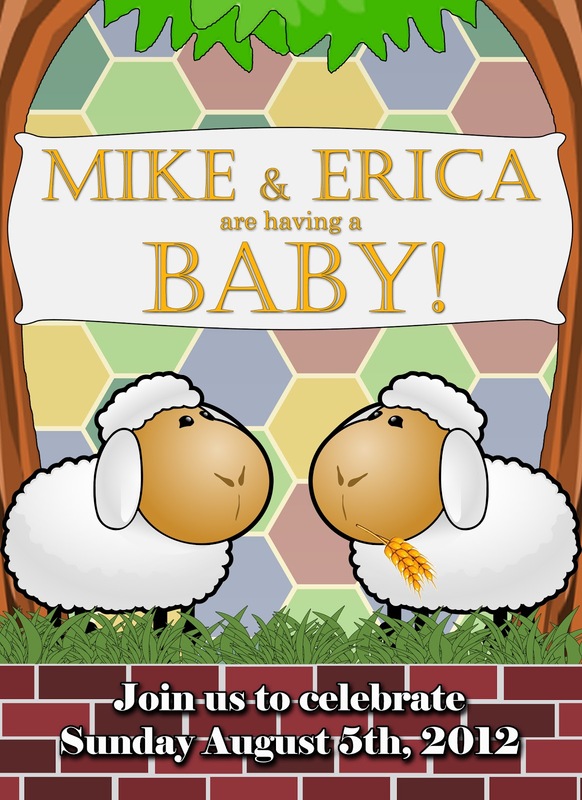 To celebrate we got together with some friends to throw them a Settlers of Catan themed baby shower. Lots of geeky good times were had. There was tons of delicious food including fantastic Settlers of Catan cupcakes by The Litttlest Cake Shop. We wanted to keep the games fun for everyone, be they girls, guys, family or friends, so we set up a bunch of different activity stations and let guests choose what they wanted to do. We got a bunch of plain onesies in several sizes and I broke out my collection of fabric paints and iron-on letters so guests could make one of a kind onesies for the baby. One of my favourite activities was the "What will Baby look like?" game. We cut out photos of the future parents' facial features and let people mix and match them on a blank baby head. The results were both creepy and hilarious. I hope their baby is better looking than this! And of course, what would a Settlers of Catan themed party be without a game of Settlers? Chris and I built a giant board game especially for the occasion. We used foam floor mats for the hexes and cut the game pieces out of more foam and cardboard. Unfortunately it was too windy to play outside and too hot to stay inside, so we never finished a game but I'm sure we'll be able to put the board to good use in the future. Did you use a Munny for a playing piece? This is awesome! Everything looks great and the pieced together babies are freaking hilarious. Yes, that's a mini munny playing the part of the robber.